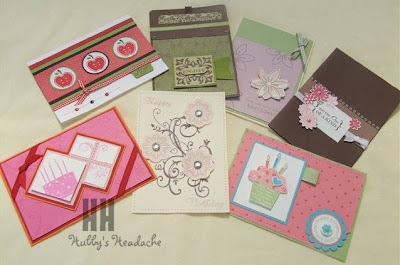 Hi all - these beautiful cards were sent to my Sister-In-Law, Judy, (SU Demo also) for her birthday recently from the girls in our team plus one other cardmaker (who we haven't yet convinced to join - only kidding! LOL). Wasn't she a very lucky girl indeed to receive all these beautiful creations (especially the two that were from me LOL). In order, back left to right: Jean, Leigh, Me, Kylie. Front left to right: Me, Melissa, Karen. 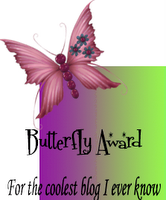 Hi I love your blog so much I have awarded you a Brillant Bloger Award. Check out my blog. Congrates. Your welcome, you deserve it. Yes, you pass the award on. I made the 'celebrate' card as a sample for a workshop and really liked how it turned out, so i then made the scrap page. Your right it would make a great pressy. Thanks for your comments,i do appreciate them.